Acne is one of the most common skin conditions there is today. The vast majority of us will suffer from acne at some point in our teenage years or possibly even into early adulthood. In fact, it’s now quite unusual to not suffer from acne at all. While most of us will just experience mild acne for a short period before the conditions disappears of its own accord, some of us will be unfortunate enough to suffer from moderate or severe acne for much longer, possibly even years. However, acne can even occur in infants. Read more about baby acne here. Acne is caused when our skin produces too much sebum. The oil clogs our pores and traps dead skin cells within them. These then become infected and cause the sore, inflamed, red skin that we see so commonly with acne sufferers. 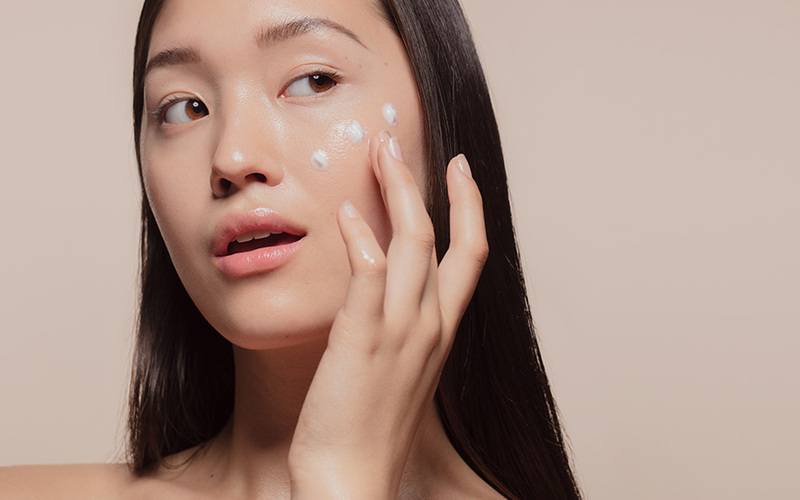 For this reason, when looking for skin care products that will tackle your acne head on it’s important to focus on products that are equipped to minimize the production of sebum in the skin while also cooling the inflammation and providing antibacterial properties. 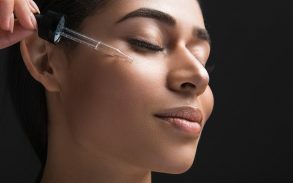 Dermatologists tend to agree that effective acne cleansers will have one of Salicylic acid (also known as beta hydroxy acid), glycolic acid (an alpha hydroxy acid) or benzoyl peroxide in them. The key is to find a face wash that focuses on removing oil and dead skin cells and kills bacteria from the skin. If you are looking for a benzoyl peroxide product, dermatologists recommend that you keep the concentration at 3% or lower. Experts also agree that if you have acne you should avoid irritants like parabens, sulfates and phthalates. Products containing alcohol to dry out oil can also kill skin cells, leaving your pores blocked. Products that contain oils other than tea tree oil should also be avoided. While they are good for maintaining moisture in the skin, they tend to clog pores. Finally, artificial fragrances can irritate skin and aggravate an acne infection and should be avoided. Dermatologists also agree that face washes should be followed by an astringent or skin toner, to boost the cleanse that the face wash provides. Rinsing completely is also important, the acne fighting ingredients will remain in the pores while the other ingredients, dead skin, dirt and excess oils will be removed. Following up with an oil-free moisturizer is also important to prevent the skin from becoming too dry. 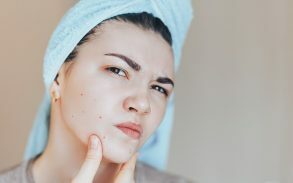 Also according to experts, many people with acne will suffer a breakout shortly after using a new acne product, but unless there is another reaction, the product should be given some time to work. If the breakout does not improve or continues to worsen, discontinue use of the product and consult a dermatologist. Most importantly, carefully follow the instructions on the product and discontinue use of the product if you experience an allergic reaction or any negative side effects. This product is specifically marketed for acne prone skin. The Amazon reviews for this product were overwhelmingly positive. The only complaints were from 10 customers whose skin was sensitive to this product or they otherwise reported redness and drying. However, customers agree that this product will take some time but it will improve the appearance of your skin and will improve acne. Most recommend, as with most acne face washes, using a moisturizer afterwards in order to prevent dryness. Overall, in our review, Claridad Glycolic Face Wash is the best face wash for acne. 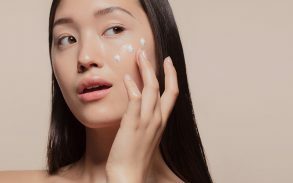 The editors at Clearawayacne.com agreed after their review of 20 different acne products, that Claridad Glycolic is the best on the market. Cetaphil is a popular product among those suffering with acne prone skin. Although they do not advertise an acne specific product on their website they do have several oil control products, including Dermacontrol Oil Control Foam Wash. Amazon Canada’s product reviews for this foaming cleanser wash resulted in an 87% positive rating among customers, 8% negative and another 5% neutral. Among the customers who posted negative reviews, most stated that the product is too strong for sensitive skin. Among the positive reviewers, all agree that this product results in good oil control, is non-drying, non-irritating and leaves clearer if not completely clear skin. Even among the positive reviewers however, this product is generally viewed as expensive. This is close but not the best face wash for acne. Some may be concerned about Cetaphil products and parabens. The Dermacontrol Oil Control Foam Wash does not contain any parabens. Along with customers, experts also give this product a high rating, praising it’s gentle cleansing, non-irritating ingredients. This is also a very popular product for those with acne prone skin but is it the best face wash for acne? On Aveeno’s own website, we looked at 180 reviews. 15% of the reviews were negative, 5% were neutral and 80% were positive. Of the negative reviews, the most common complaint is that of an allergic reaction after use of the product. This was followed closely by complaints that the pump on this product sticks so that the customer must struggle with it while having wet, soapy hands. Among the positive reviews most customers agree that the cleanser is gentle, is light, smells nice and works well for acne prone skin. However, even among positive reviewers, several stated that the cleanser worked well for several months and then the acne returned with no additional effect from the cleanser. 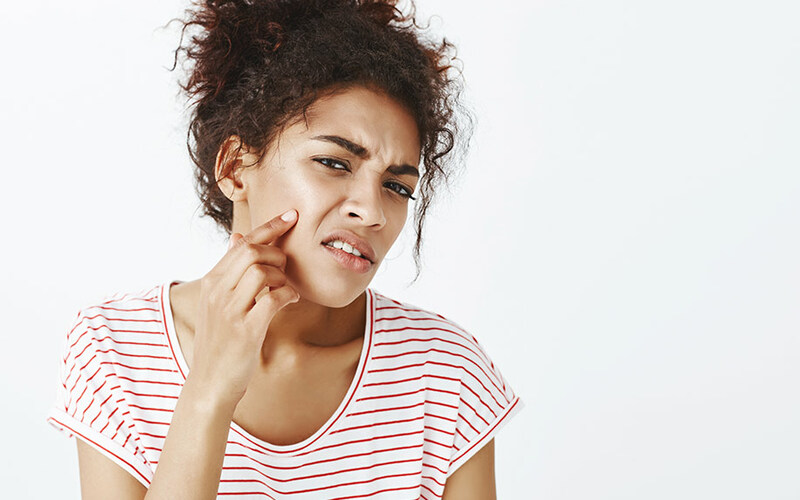 However, experts agree that the salicylic acid in this product will not stay on your skin long enough to be of much help with acne and note that the product does contain irritants like menthyl lactate. A little pricier than most acne face washes, out of 228 reviews only 48 reviewers recommended the wash for acne prone skin. Keep in mind that most reviewers of this product purchased it for oil control and not specifically acne. Most reviewers agreed that it is a gentle cleanser but they also agreed that it’s messy and many did not like the smell of the product. Unfortunately, many reviewers also agreed that this herbal wash either increased breakouts or left an oily film on the skin (for those that already had very oily skin). Both issues are concerning for acne prone skin. Experts almost universally agree that any face wash that leaves a film on the skin is not good for acne prone skin. So this probably isn’t a facial cleanser that we would recommend for treating acne. Neutrogena carries a number of acne care products, including their Neutrogena Naturals Acne Cream Cleanser. They are seen as a skin care leader in the area of acne and have gathered a large and loyal customer base as a result. When Neutrogena release a new product there is always much anticipation and high hopes from those suffering with acne prone skin. On their own website, this product received only 4 negative reviews out of 62 (as of the date of this writing). Each of the negative reviews stated that the customer felt the cleanser had no impact on their acne. Among the positive reviews, only one reviewer remarked that the cleanser left her skin a little dry. Most agree that the cleanser cleans very well and is gentle on their skin without being drying. What’s more, the reviews came from a range of customers, from those who described minor acne issues to customers who reported severe acne stated that over time. Across the board, they noticed a significant difference in their skin. Neutrogena Natural Acne Cream Cleanser appears to, given some time and used regularly, improve most mild to severe acne. However experts agree that cedar bark and menthol, both ingredients in this product are skin irritants that should be avoided when suffering with acne. So we recommend to use it with caution and, as always, keep a watchful eye for any negative side effects. This is a popular product on Amazon and comes in a 120g size. Customers say that the 120g tube will last for several months and that only a bean sized amount will provide plenty of foaming face wash. Customers also say that it controls oil production and helps dry skin stay moisturized especially when used coming out of the shower. However, other customers say that the gentle face wash is a little drying if not used in combination with something that moisturizes. Many customers say that it will not remove a “full face” of makeup, may leave a residual film or does not remove all of the built-up oils and dirt from your skin, a problem if your skin is acne prone. Most concerning is the fact that it has a pH of 8 and research has clearly shown that anything higher than 5.6 is damaging to your skin. Overall, this product doesn’t seem to be a great one for treating acne prone skin. This product does not appear to be as popular among online sellers as some of the others listed above. 22% of the reviews on Amazon for this product were negative (that’s quite a high number) and unfortunately only one user with acne reported that it was helpful. The remaining reviewers who reported acne all reported that the product either made no difference or made their acne worse. These reviews aren’t very surprising though as the product is made with Salicylic acid, so it is not a product for sensitive skin or those with allergies.